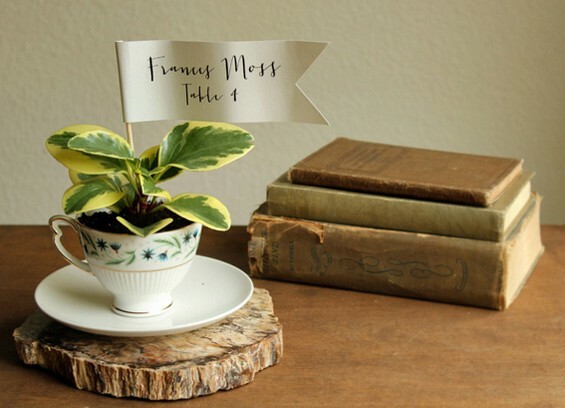 Use teacups as planters for mini plants and give them to guests as wedding favors! Follow the tutorial on the source to create this idea. See this idea with a name tag attached to the teacup handle. See this idea using large teacups.